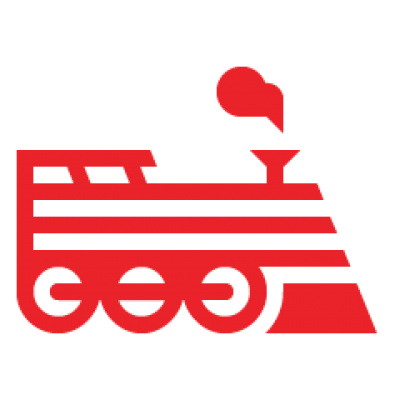 Note: If you already have a Node.js application in a git repository or if you want to deploy one of the Engine Yard test applications for Node.js, skip to Deploy your Node.js application on Engine Yard Cloud. If you haven't written Node.js applications before, follow these steps to set up your local machine for Node.js development. To build Node.js from source, follow the steps in the github.com/joyent/node/wiki/Installation project wiki. Install npm (needed only if you install via brew, otherwise included in node itself). Npm is the default package manager for Node.js. Write and test your Node.js application on your local machine. The two important files are the package.json file and the app.js or server.js file. Specify your application dependencies in package.json. This file is used to resolve the dependencies that your application needs. For more information about the package.json file, see Specifics of npm’s package.json handling. The sample package.json file for the node-simple-example application is shown below. Write your application in app.js or server.js. If you don’t have an application, try the node-simple-example application. For example, this installs Express if you are using the node-simple-example application. Push your application files to a git repository. This is the application for the github.com/engineyard/node-simple-example. This application is very similar to the Express example. One modification is that the port that the application is running on is set using the environment variable PORT. You need to set the Node.js version number when deploying a new application or upgrading one. You can use greater than (>), less than (<), and equal to signs to specify a range of version numbers. If you use "x" to represent the last digit (for example 0.8.x), then you will be given the most recent 0.8 version that is available. If you do not specify the version (or if you specify "*" as the version), then any Node version is acceptable. Note: Node.js versions 0.10.28, 0.10.38 and 0.12.4 are ONLY available on our Gentoo 12.11 stack. For Gentoo 16.06, see Engine Yard Gentoo 16.06 Technology Stack for all the supported versions. For Gentoo 12.11, see Engine Yard Gentoo 12.11 Technology Stack for all the supported versions. For Gentoo 2009, see Engine Yard Gentoo 2009 Technology Stack for all the supported versions. If you are upgrading Node.js, then you must redeploy your application to use the new version. These steps describe how to deploy a Node.js application (from a git repository) on Engine Yard Cloud. In the dashboard, create a new application and set Application Type to Node.js. If you do not have a Node.js application in a git repository, try the Node.js Chat app. The application server stack defaults to Nginx, which proxies dynamic HTTP to Node.js. (Optional) If you need to use WebSockets, select Node.js, which serves all TCP and HTTP requests and allows WebSockets. (The sample Node.js Chat app uses WebSockets.) See Using WebSockets for more information. Set the Server Size to Large for the application instances. By default, Engine Yard Cloud exposes some environment variables to Node.js applications. These variables can be used to configure applications. PORT: The port number where the Node.js server is running. NODE_ENV: The environment in which the application is running. NODE_ROOT: The root path of the application. DB_PASSWORD: Password to connect to the database. DB_MASTER: Alias for the database host server. DB_SLAVES: List of slaves host names if there are any. Engine Yard Cloud uses a reverse TCP proxy for Nginx that routes WebSocket requests directly to your Node.js application. You can use frameworks like Socket IO to work with WebSockets.